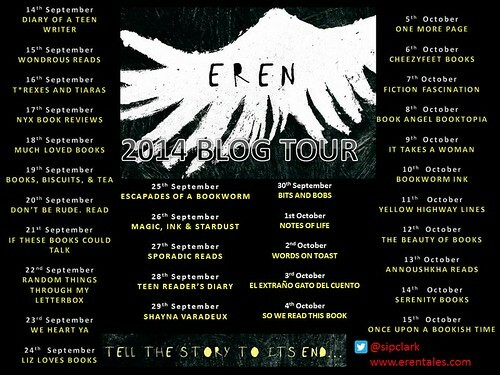 I'm excited to be the next stop on the blog tour for Simon P. Clark's new book, Eren. Hello if you made it here from yesterday's stop, Wondrous Reads. 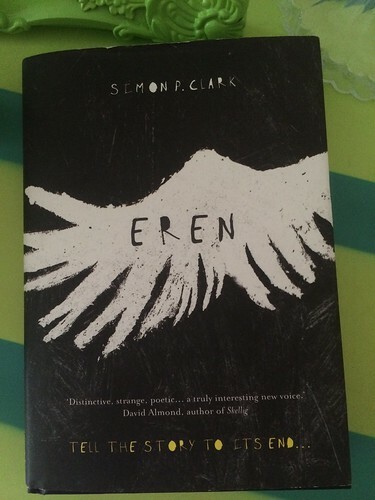 Eren is a fabulously dark and haunting tale which is likely to stay with you after reading. Although a simple premise - Oli and his mum have escaped London to live with his uncle for a summer holiday. At first, Oli thinks his father will be joining them soon, but he soon begins to wonder if that's true after all. In fact, a great theme of the book is that distinction between truth and lies, and where storytelling fits. Somewhere in the middle? Oli is encouraged by his uncle to explore and make himself at home. His speedily-forged friendship with Em and Takeru and their adventures reminded me of childhood summers, as did Oli's interest in the unknown. Eren. A monster? An imaginary friend? Found in the attic, Oli finds himself drawn towards Eren, who encourages Oli to use his imagination and share his stories. Without being able to say a lot more for fear of spoiling something, I was gripped by this book and unable to put it down until the end. If you'd like to follow the blog tour and find out what other people thought, here's where it will be taking you next..